Our product range includes a wide range of foam concreting admixture. We are offering our clients a comprehensive assortment of Foam Concreting Admixture. The offered concreting admixture is processed with the best grade ingredients and leading technology according to the quality standards. 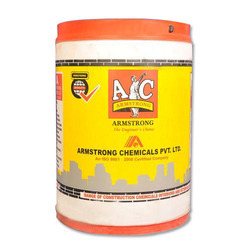 This concreting admixture is available in various customized packaging options. Our concreting admixture is tested by our quality controllers on various parameters in order to make certain their quality. Looking for Foam Concreting Admixture ?